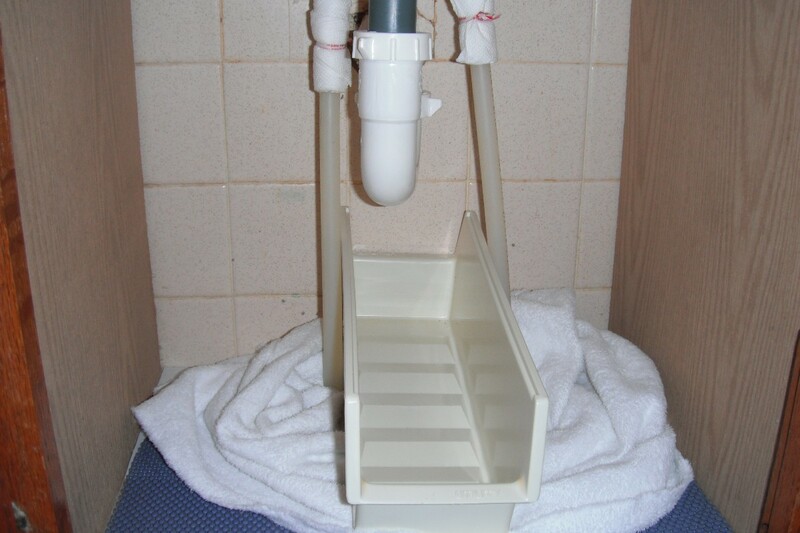 The P-Trap under the sink can get a lot of gunk buildup and cause an odor. 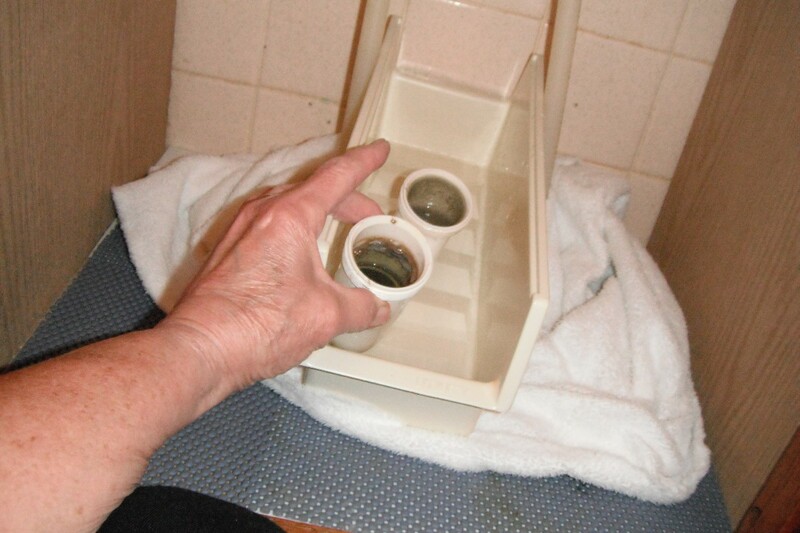 Instead of using harsh chemicals to keep ours clean, I remove the P-Trap every 3-4 months and give it and the pipe above a good cleaning. 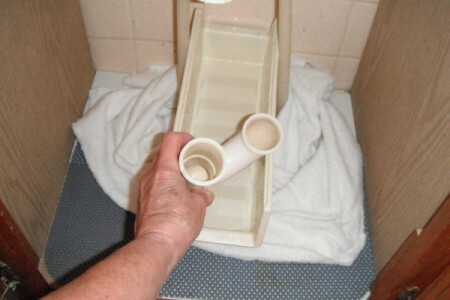 If you have plastic pipes like ours, no tools are needed for this. The P-Trap is full of water therefore, you need to place a pan under the drain pipe to catch any spills when removed. For extra protection, I place a towel around the pan. With your hand, loosen the 2 lock nuts by twisting them to the right, turning each one a little at the time so both will come loose at the same time. Keep it level and pour the water into another container. Using soapy water and a baby bottle brush, clean the trap and the pipe that goes into the trap. To put it back on, line it up and turn both of the nuts to the left, a little at the time, until they catch. Tighten with your hand until just snug. Run some water into the sink and check for leaks. If put back on correctly, you should have no problems. I find this very easy to do and it only takes a few minutes. I gave a lady some plants once. She said she didn't know when to water them. I said 'stick your finger about an inch or two into the soil. If the soil feels damp or cooler than the indoor air, the plant probably doesn't need watering'. The lady was above sticking her finger in the soil. LG, I'm sure you are a lady from sun up til sun down. You are proof; ladies can do these things and still be ladies. Thanks. You gotta to do what you gotta to do.